After a Successful IVF Treatment, Johnson Marun and Daborah Ayen from South Sudan has a Lot to Say about their Medical Trip to India. It is my pleasure to thank the whole team of Vaidam Health. It is my pleasure to thank the whole team of Vaidam Health. Kebebush Tenkolu and Birra Tufa from Ethiopia Finally Conceives a Child after An IVF Treatment in India. We cannot express in words how happy we are. We cannot express in words how happy we are. After a Wait of 10 Years, Manuel Lunga and Camila Mateus from Angola Have Conceived a Child by IVF Treatment in India. "We feel so lucky and blessed"
"We feel so lucky and blessed"
Jasmine Ahmed from Bangladesh Recounts her Experience of Undergoing Surgery in India for Uterine Fibroids with a Travel-tale. It’s been over a month since my surgery and I’m thrilled! It’s been over a month since my surgery and I’m thrilled! Sawsan Abnawf from Sudan Successfully Receives IVF Treatment in India from Southend IVF Centre for a Third Baby. "Now we patiently await the arrival of our third child. Thanks to Southend IVF Centre." "Now we patiently await the arrival of our third child. Thanks to Southend IVF Centre." 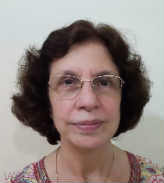 Urgie from Ethiopia Overcame Ovarian Cancer after Timely Medical Intervention and Treatment at Manipal Hospital, Delhi. After multiple doctor visits, Urgie finally arrived at Vaidam Health. After multiple doctor visits, Urgie finally arrived at Vaidam Health. Nyimasata Jammeh from Gambia gets IVF Treatment in New Delhi. 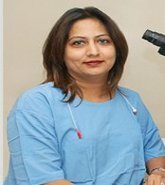 The treatment was done by Dr. Rita Bakshi at the International Fertility Center. 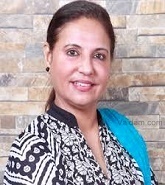 The treatment was done by Dr. Rita Bakshi at the International Fertility Center. Sharesse from the United States Gets IVF Treatment from India.. She was happy and entirely satisfied with her visit. 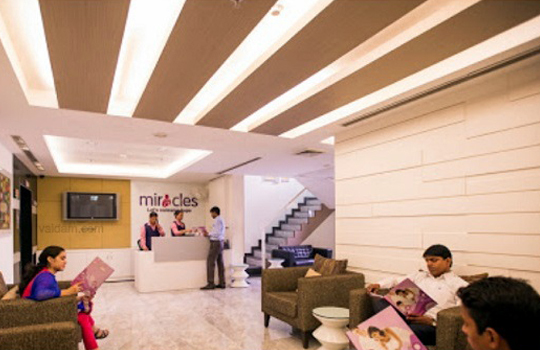 Sharesse from the United States Gets IVF Treatment from India. She was happy and entirely satisfied with her visit.